Our new shirts are the last word in cool and colourful. In pure linen, you could be anywhere warm and wonderful. 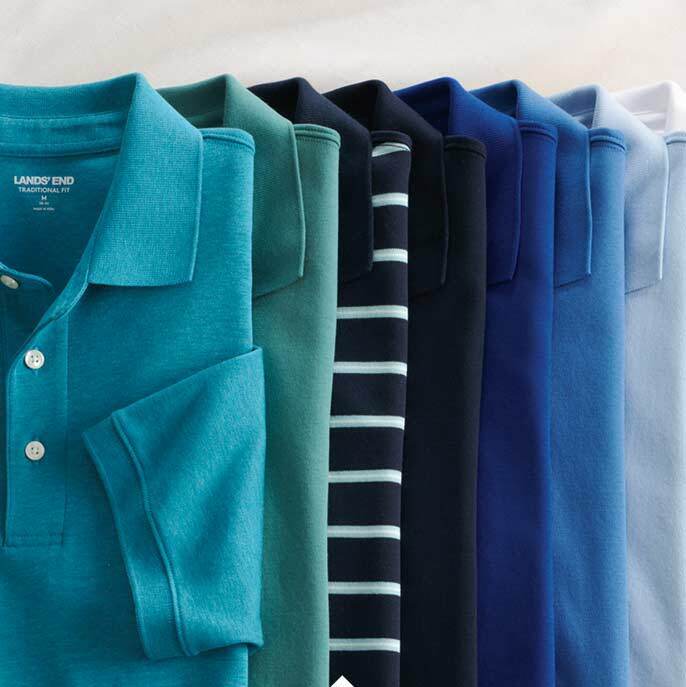 Your most polished polo Nothing’s smoother than Supima® cotton jersey. Long story, short All the comfort of our stretch chinos, only shorter! This summer, make a rash decision! Buy swimwear with UPF 50 sun protection built in. Heroic by name, stoic by nature Super-T: the T-shirt that's built to last. And last. We’ve been designing and making great quality men’s fashion for over half a century, our range is designed to see you stylishly through whatever life throws at you. We pride ourselves on our hardworking men’s clothing for every occasion. 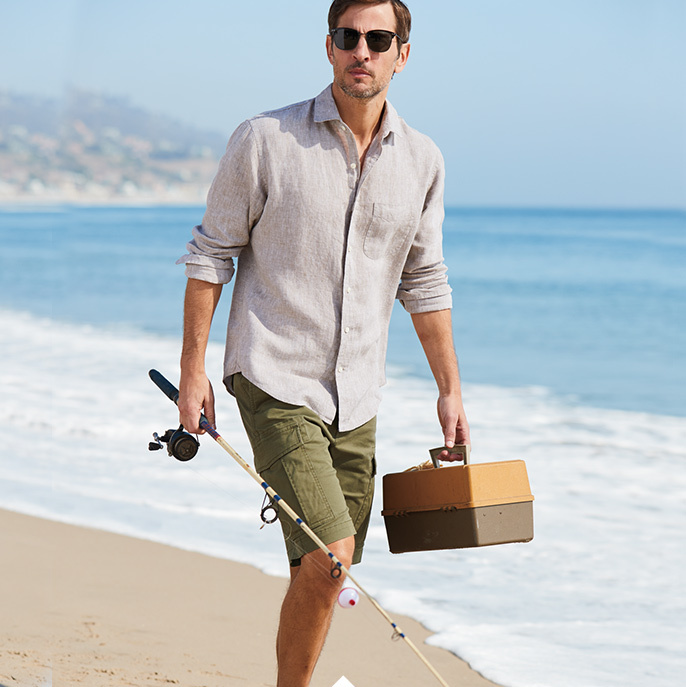 From swimwear to snow boots, we guarantee quality and directional design. 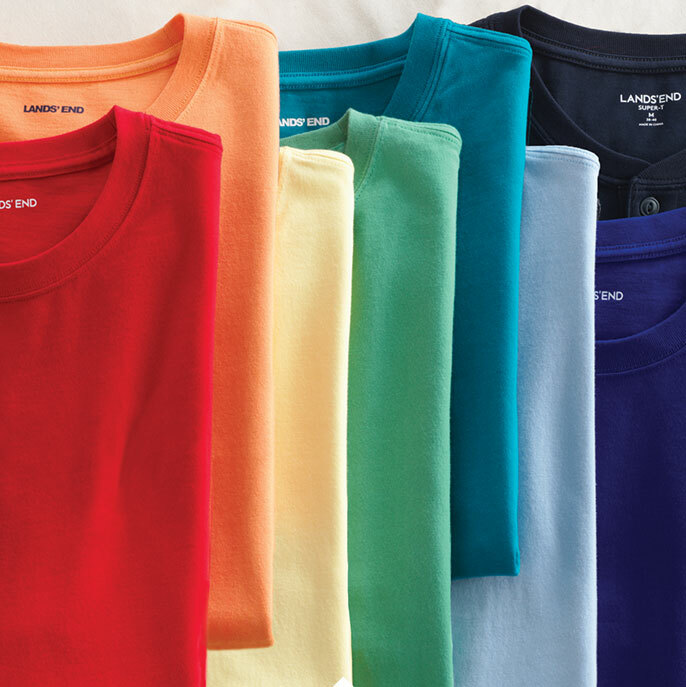 Everyday style is made easy with our men’s t shirts and polo shirts, in a variety of colours and silhouettes, from the classic roomy traditional fit to the more modern new slim fit. Our men’s trousers and jeans too, come in a range of comfortable styles from slim, straight and tailored fits to the more traditional roomy fit, and a wide range of colours and washes for any occasion. Make the right impression with our formal shirts and expertly tailored jackets for men. Smarten up any look with our men’s chinos, available in a range of colours so you don’t need to stick to navy, black or grey. Lift your look with up-beat new sun-washed shades or vintage blues – perfect with our men’s blazer. Our range of Activewear is designed to work as hard as you do. Whatever your sport, enhance your workout with our tough tech tees, men’s joggers and track pants and beat the elements in one of our sporty men’s jackets or sweatshirts.